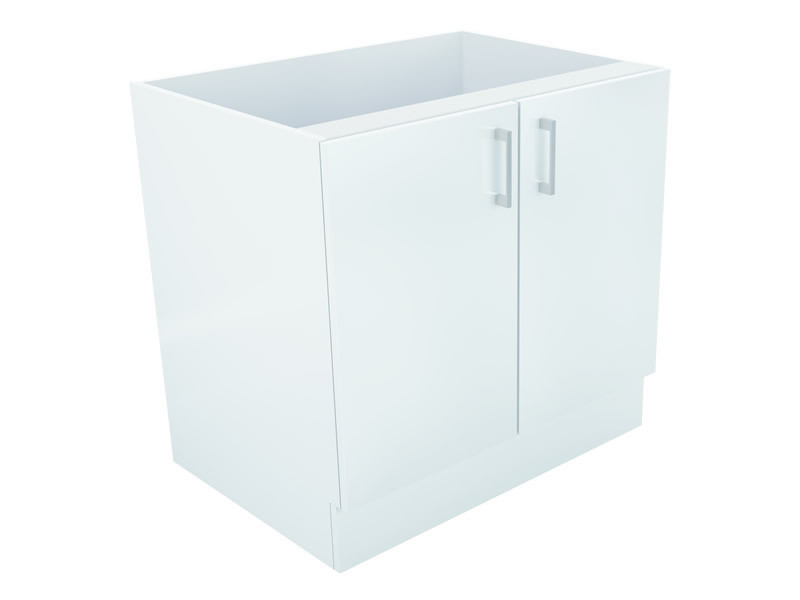 Add extra storage space to your kitchen with this functional 90cm Alpine Base Cabinet. Featuring double doors and two large compartments, this base cabinet will easily store your kitchenware. It comes fully assembled and has been designed for easy installation. Styled to perfection, this elegant base cabinet certainly looks as well as it performs. 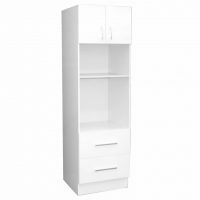 Available in a classy high-gloss white finish, it features chrome handles for added trend, while soft closing hinges allow quiet and gentle operation. 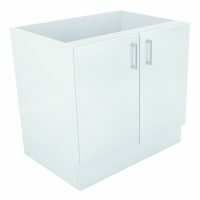 This cabinet can be kept looking like new by running a damp cloth over it. 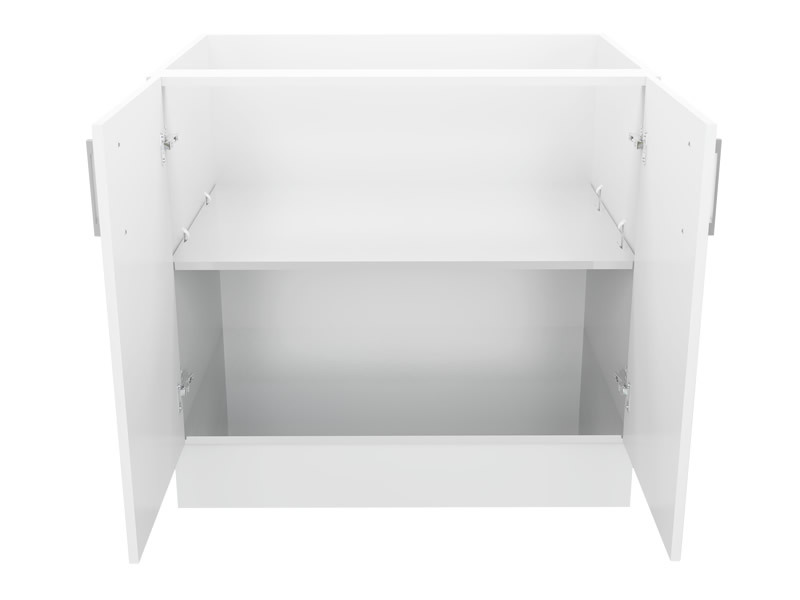 This base cabinet is built to the highest standards using top quality HMR board and is very resistant to moisture. 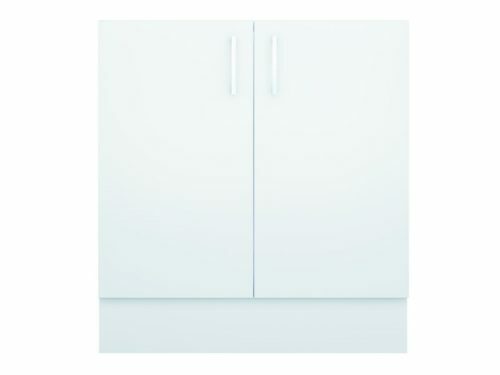 The surface of this cabinet features a durable 2 pack paint finish, which makes it scratch resistant as well as smooth. 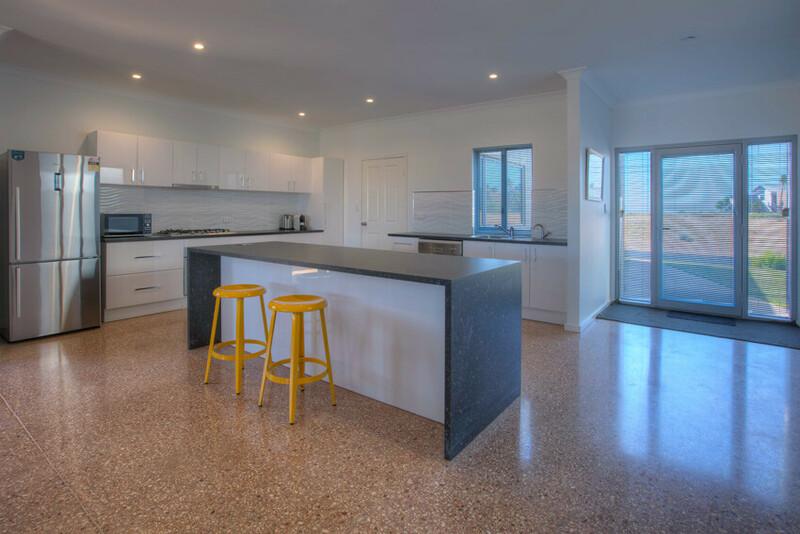 As a measure of the quality of this product, Alpine offers an impressive 5 year guarantee on workmanship and on materials. 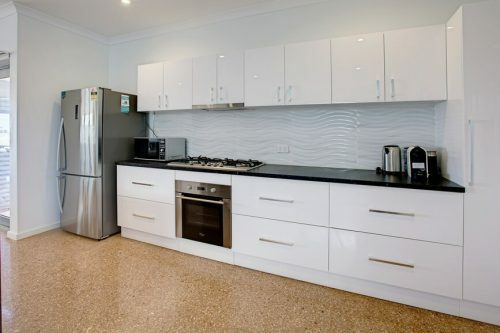 You can definitely trust this product to deliver you many years of service. Give your kitchen a stylish makeover. 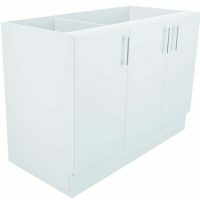 Buy this Alpine Base Cabinet from Ross’s Discount Home Centre at an amazing price.